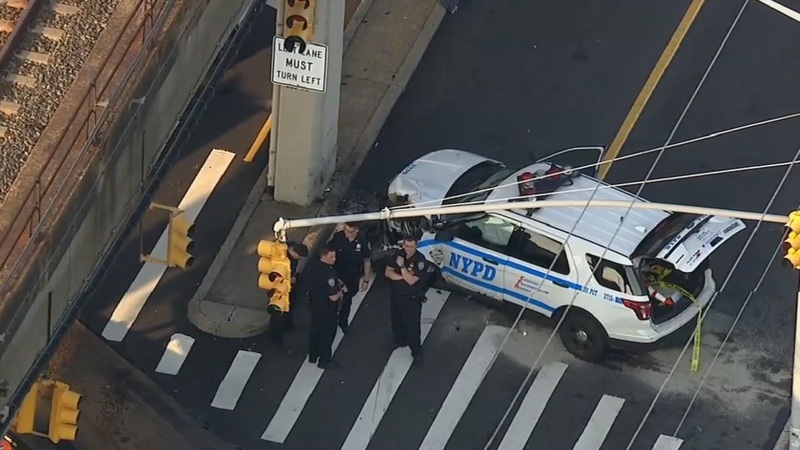 FAR ROCKAWAY, Queens (WABC) -- Two officers are being treated for minor injuries after an NYPD cruiser collided with another vehicle. The accident happened just after 6 a.m. Wednesday at Rockaway Freeway and Beach 38th Street in Far Rockaway. Stay with abc7NY for the latest updates.